This entry was posted on February 12, 2019 by wowvow. 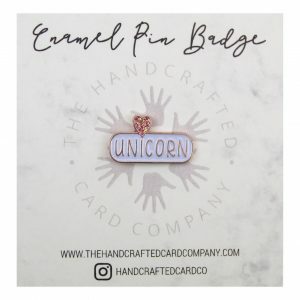 You may not know but we also publish greeting cards under our original name 'The Handcrafted Card Company' and, embellished with our amazing pin badges our 'Pin and Ink' greeting card range won 'Gift Of The Year' in the 'cards and wrap' category for 2019!!! 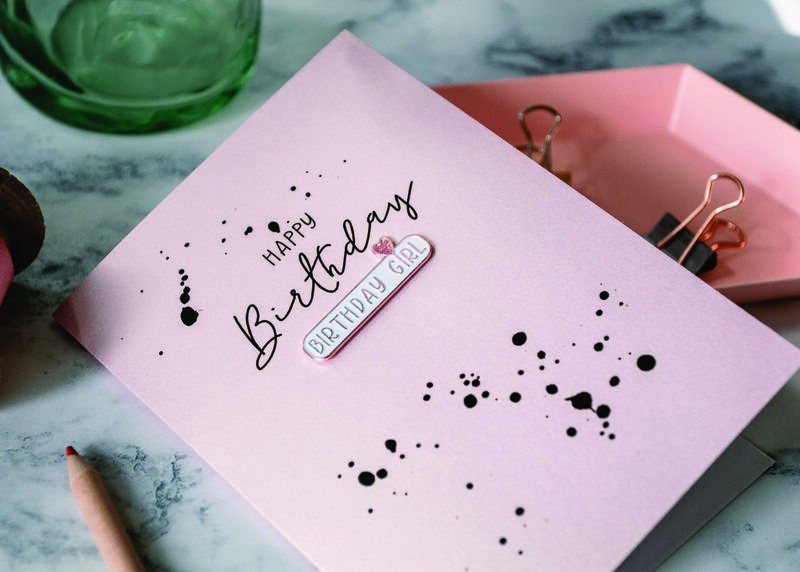 Our ‘Pin and Ink’ cards have had such a great reaction as they are a card and a gift in one - a contemporary enamel pin badge with glittering heart comes with each colourful greeting card . 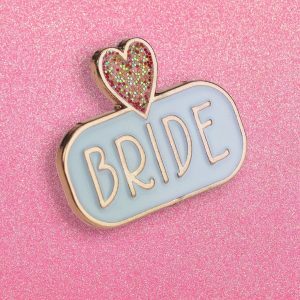 If you love our enamel and glitter pin badges and know exactly who you would buy one for or would like to collect them yourself, you'll be delighted to know we sell the pin badges separately in our 'wedding gifts and cards' department on wowvow! Each pin badge is mounted on a cute little presentation card which is then cello wrapped, a perfect little gift! Do you know someone who should wear this pin badge? Be Happy as a Unicorn eating cake on a Rainbow! 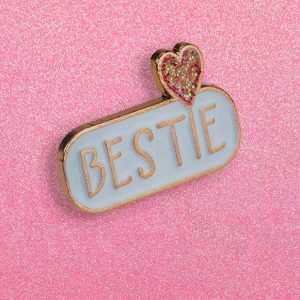 A special pin badge for a special bestie! 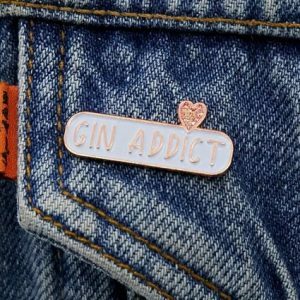 A contemporary pin badge that 'says it as it is'! We have fifteen pin badges in total. 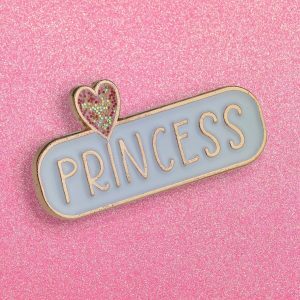 The pin badges say Birthday Girl, Gin Addict, Princess, Mermaid, Unicorn, Bestie, Selfie Queen, Diva, Fierce, Bridesmaid, Team Bride, I Do Crew, Bride, So Tired and Tired Mum with several phrases and card options for each badge when purchased as part of our 'Gift Of The year' winning greeting card range. 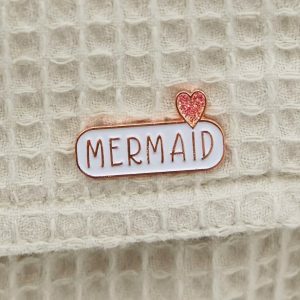 Pin on your favourite jacket or much loved bag, pencil case or clutch bag and make a statement! 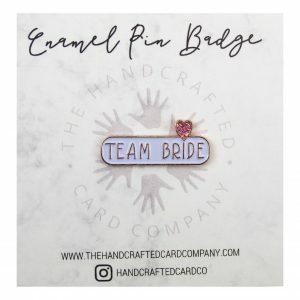 Wedding themed pin badges make excellent gifts at Hen Parties and as Bridesmaid gifts. 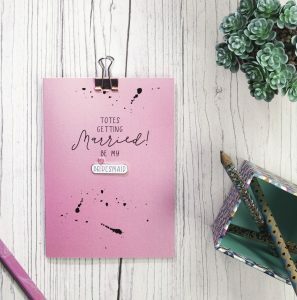 Looking for birthday or wedding themed gifts? 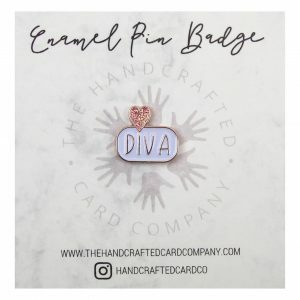 Have a look at our pin badges on wowvow now!